A good reason to be bad... Librarian Sophie Heyer has walked the straight and narrow her entire life to make up for her mother's mistakes. But in tiny Jackson Hole, Wyoming, juicy gossip doesn't just fade away. 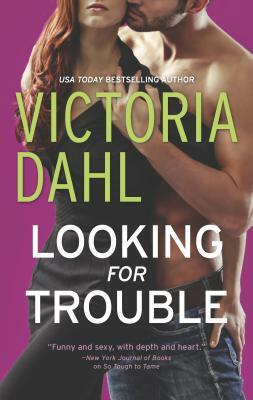 Falling hard for the sexiest biker who's ever ridden into town would undo everything she's worked for. And to add insult to injury, the alluring stranger is none other than Alex Bishop--the son of the man Sophie's mother abandoned her family for. He may be temptation on wheels, but Sophie's not looking for trouble Maybe Sophie's buttoned-up facade fools some, but Alex knows a naughty smile when he sees one. Despite their parents' checkered pasts, he's willing to take some risks to find out the truth about the town librarian. He figures a little fling might be just the ticket to get his mind off his own family drama. But what he finds underneath Sophie's prim demeanor might change his world in ways he never expected.